Pay for your visual Foundation or Sinkhole Inspection. If you are buying a house and need a Visual Foundation Inspection there will be a $400.00 FEE. If your a realtor, homeowners association or property manager and need a Visual Foundation Inspection there will be a $400.00 FEE. With this inspection you will receive a brief report and contract for any structural repairs that may be necessary. If your buying a house and need a visual structural inspection for early warning sinkhole signs, there will be a $500.00 FEE. If your insurance company is requiring a visual Sinkhole Inspection there will be a $500.00 FEE. To schedule an inspection please click on the pay pal button below. 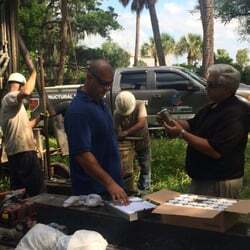 Foundation Masters, LLC covers all of central and southern Florida.